The Environmental Data Initiative is hosting a workshop on publishing data packages in the EDI repository. The workshop will be held on 4-6 June 2019, at the University of New Mexico in Albuquerque, NM. Travel days are June 3 and June 7, 2019. Participants will be trained along with EDI’s Summer 2019 Fellows, and available slots are limited to six. EDI will provide attendees’ travel to Albuquerque, meals and lodging costs. 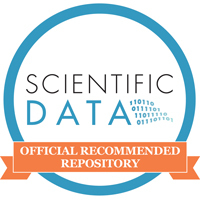 Publishing data packages in the EDI repository. Fill out the application form here no later than 26 April 2019. EDI will inform attendees on 7 May 2019. We have data publishing resources available on our website (including links to webinars) that convey the workshop’s content for those who cannot attend this session. Detailed logistics will be provided to those accepted into the workshop. You can also contact Susanne Grossman-Clarke (grossmanclar@wisc.edu) if you have questions.